If you are considering changing out light bulbs around your home, you may become quickly displeased with your choice if you purchase new bulbs without first learning about color temperature ranges as well as the many varieties of lightbulbs. Failing to do your homework beforehand could leave you with an end result that leaves much to be desired. 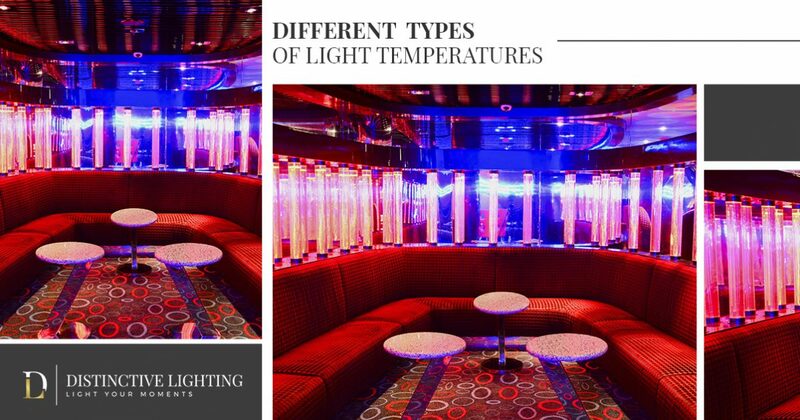 That’s why, in today’s article, we will be talking a little bit more about the wide selection of color temperatures available to consumers, as well as discussing the intended uses for each color temperature. Are you looking for the best lighting showroom in Bozeman, the Gallatin Valley, and all of Montana? If so, then look no further than Distinctive Lighting! For more than 30 years, we have remained as the top supplier of lighting fixtures and other lighting products, and we continue to do so today. Residents of Montana place their trust in Distinctive Lighting because of our attention to detail and our long-standing reputation within the Bozeman community. Our team of lighting experts will listen attentively to your needs before making professional recommendations that are backed by years of knowledge and experience in the lighting industry. If you are wanting to learn more about how light temperatures can affect your day-to-day day tasks, continue reading more below. What Is the Kelvin Scale? The Kelvin scale was developed by Lord Kelvin in 1848, and continues to be used as the standard for measuring a light source’s color temperature. This unique scale works to measure the warmth and coolness of light, and is a good way to determine which type of lighting is right for your home. So, while lumens may equate to a general measure of brightness, kelvins are the standard for measuring the warmth or coolness of light. As you can see, this information is vital to know while determining which type of lightbulb is right for your needs, and can be useful information when choosing task lighting, ambient lighting, and spot lighting for a number of reasons. When thinking about warm lighting, these color temperatures are associated with lowly lit areas that are cozy and inviting. Your living room, for example, most likely exudes warm color temperatures, and rightfully so! Ambient lighting often puts off warmer hues that exude yellow and orange tones, making it a perfect choice for areas of your home that don’t require as much lighting. To put the Kelvin scale into perspective, a candle measures around 1,000 kelvins. Common household lighting, however, typically ranges from 2,000 to 3,000 kelvins. While this is still considered to be a warmer range of lighting, it will still provide you with enough lighting to sufficiently navigate throughout your home. When compared to warm lighting, cool lighting is often reserved for specific areas of your home. Since cool lighting tends to be much brighter on the eyes, it isn’t used nearly as much in areas that are reserved for lounging. That isn’t to say, however, that cool lighting doesn’t have a place in your home, because it most certainly does! Cool lighting is much more useful in practical situations when you require clean, unbiased lighting. Reading, for example, can induce eye strain after a short period of time if you are reading your favorite book under warm lighting. Cool lighting, however, is designed to provide ample lighting that won’t tire your eyes out quickly. For this reason, you will often find task lighting to have much cooler color temperatures, since task lighting is most often used for extended periods of time. One of the most important reasons for cool lighting is due to the fact that warm lighting doesn’t accurately reflect normal daytime lighting. In fact, warmer lighting can often misleadingly make objects appear to be a different color than they actually are. Overcast daylight, for example, measures at around 7,000 kelvins, a much brighter temperature of light when compared to warmer lighting. This is why cooler lighting is such a necessity in areas of your home that require unbiased lighting. The bathroom is one area where cool lighting should always be, and for good reason. When preparing for school or work, you most likely apply makeup to your face if you are a woman, or shave your face if you are a man. Both of these activities require bright, cool lighting in order to easily be completed. If you apply makeup under warm lighting, you could be getting a false representation of what your makeup actually looks like until you step outside into the cooler light. As a man, shaving under warm lighting could make you unintentionally miss areas of your face, resulting in a less than clean shave that you will most likely need to touch up. We’re Happy To Help Answer Your Lighting Questions! If you still have questions surrounding the various color temperatures of lighting, or would simply like to learn more about what light fixtures will look best in your home, stop by our lighting showroom in Bozeman today! The professionals at Distinctive Lighting are committed to making your lighting dreams a reality, and we work hard to ensure that your lighting selection checks every box on your list of needs. If you have any questions or concerns about the endless amount of lighting products at your disposal, don’t hesitate to reach out to our friendly team today. We look forward to hearing from you!